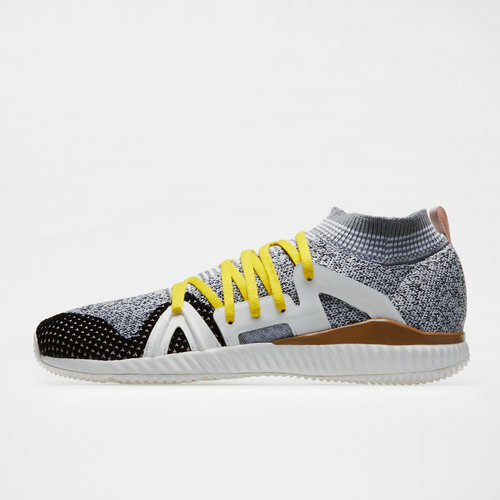 If you're looking for performance and an edge in your in training, don't miss out on these shoes designed to keep athletes supported and comfortable during intense sessions, introducing the adidas Crazymove Bounce Ladies Stella McCartney Training Shoes in a White and Flash colourway. Energise at training with a shoe designed with adidas bounce technology which delivers flexible cushioning and energized comfort during any workout. The breathable mesh upper with backing material provides durable comfort and performance.